Welcome to our two-part series on the leading trends and best practices around hot desking, from Comfy’s VP of User Experience (and IDEO alum) Beau Trincia. In part one, we’ll start with the basics: what is hot desking, and why is it hot right now? One of the most exciting aspects of product research at Comfy is connecting with our customers to hear emerging trends in workplace experiences. As Comfy has proven to be the app of choice for leading companies looking to deliver great workplace experiences, and as we’ve expanded our range of system integrations, our customers continue to look to us to solve additional workplace challenges. 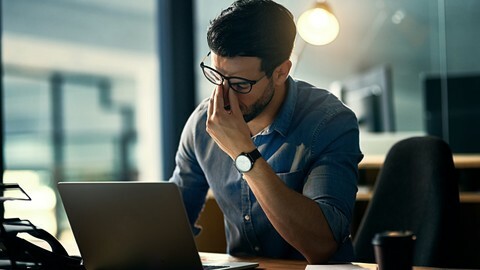 Over the last year, we’ve heard an increasingly consistent theme: corporate workplace and real estate teams are interested in moving away from dedicated desk assignments and increasing the ratio of employees to desks—but they're concerned about getting it right. So how do corporate real estate leaders get it right? And how can workplace experience apps like Comfy serve a key role in this change management? What is hot desking? Whether you call it hot desking, hoteling, activity-based working, free-address, or something else, all these terms are rooted in one idea: employees sharing desks, instead of having one dedicated desk per employee. When desks become shared resources among employees, workplace managers are able to dedicate more space to alternative workspaces that promote the dynamic and collaborative way we work today—all while reducing the space per person. Why is hot desking hot right now? Alternatives to dedicated desk assignments have existed for many years, especially in consultancies, highly mobile sales teams, and global corporations where visitors frequent other offices. But now we’re seeing this model expand across corporate real estate portfolios. So what’s changed? A number of things have evolved in the workplace to make flexible offices not only viable, but also better from an employee experience standpoint. We’re seeing three trends that have converged to drive this change. 1. Thanks to modern tech advancements, mobility in the workplace is on the rise. Anyone who joined the workforce in the last five years may be surprised to realize that not long before that, employees were mostly tethered to their desks. Secure, reliable network connectivity, the ability to access files and software, and power were all hard to come by if and when you left your desk. Today, of course, employees are no longer tied to their desk, making it easier than ever for employees to reliably work from anywhere in the office or remotely. According to JLL, over one third of time spent in the office is spent away from workstations: in the spaces of colleagues, in meeting rooms, spaces for informal communication, etc. Longer battery life, ubiquitous and reliable WiFi, cloud storage and SaaS productivity tools, and the bring-your-own-mobile-device movement all enable employees to work from anywhere—be it their home, a café, the airplane, or even a remote Pacific island. 2. More workplace flexibility = happier, more collaborative employees. As technology enables greater mobility, we are also seeing transformations in the policies and design of workplaces to accommodate employee expectations and promote employee collaboration. Employees in workplaces with greater flexibility report being more satisfied with their jobs and generally perform their jobs better, according to an HBR report. Flexible working has its impact on retention, too: research by Deloitte suggests that flexible working can improve the retention of high performers by as much as 100%, as well as improving employee engagement. Meanwhile, activity-based work (ABW) is driving workplace design to move beyond a one-size-fits-all approach to the office. No longer does one assigned desk, cubicle, or private office have to serve all of the modalities of focus and collaboration for an employee—especially one who is only there part of the time. Leading companies like Microsoft and Salesforce are embracing workplaces where employees have access to a wide range of workspaces that are ideally suited to specific activities. 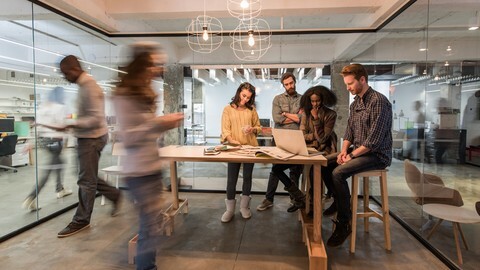 With the ability for heads-down, focused work to happen anywhere, the primary value of the workplace is face-to-face collaboration—whether via informal brainstorming spaces, private phone booths, A/V meeting spaces for collaboration with remote team members, or the serendipity of bumping into colleagues in cafe and soft seating spaces. Employers increasingly see the productivity value of providing more ways to collaborate. 3. Real estate risks and expenses just keep growing. With these shifts in workplace experience, design, and policy, we’re seeing the utilization of office portfolios in decline. Real estate and workplace teams don’t expect anywhere close to full capacity at desks, but now with a greater emphasis on collaboration and flexible work policies, desk occupancy is at an all time low; research from JLL shows that on an average day, more than 40% of office work space in the corporate world is vacant or unoccupied. At the same time, corporate real estate teams are under pressure to better balance their portfolio—and it’s not hard to understand why they see empty desks as an opportunity. As companies reverse a long trend of suburban corporate campuses with moves back into city centers and denser urban spaces, it’s clear that occupant density is what will make the numbers work on these high-value sites. With leases often long and expensive, CFOs are eager to lower the risk of uncertainty of their real estate portfolio. Having smaller, more flexible corporate campuses provides the financial flexibility necessary for companies to navigate a complex future. With so many factors driving companies to optimize corporate real estate portfolios, and the potential upside of productivity and wellbeing from more flexible work cultures, it’s not hard to see why hot desking has the potential to be so appealing. At Comfy, we take pride in delivering solutions that focus on employees’ biggest challenges within the physical environment of their office. We’ve been researching the employee experience in finding a desk (and beyond), and how digital tools make those experiences work better for everyone. We’re currently conducting pilots that validate these new Comfy features for hot desking and the broader workplace experience, and we can’t wait to share them with you. Check out part two of our blog series, where we share best practices from industry-leading corporate workplace teams, designers, and workplace strategists on making hot desking successful for everyone. Investing in Workplace Tech? Here are 4 Things to Consider.